UNITED Patriots Front leader Blair Cottrell has poured his heart out in an effort to have his County Court appeal over a hate crime delayed. Cottrell was convicted and fined $2000 last September for knowingly engaging in conduct with the intention of inciting serious contempt for or revulsion of a class of people, namely Muslims, under the Racial and Religious Tolerance Act. He immediately appealed the decision, but has been delaying the hearing ever since. The burly frontman told Judge Mark Dean today that he wasn’t ready to proceed because of the media attention he had suffered since being charged with the offence. 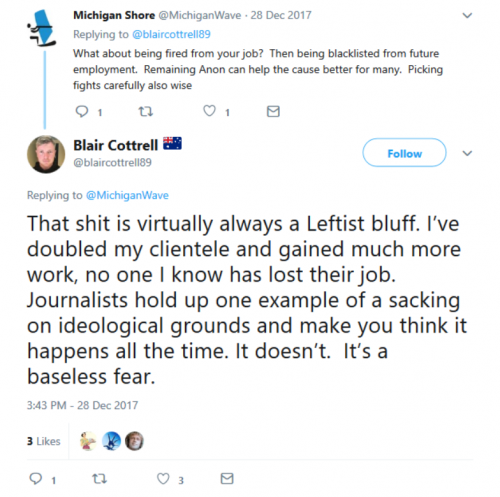 Cottrell claimed he had been labelled a neo-Nazi by various media organisations, which he was planning to sue for defamation. 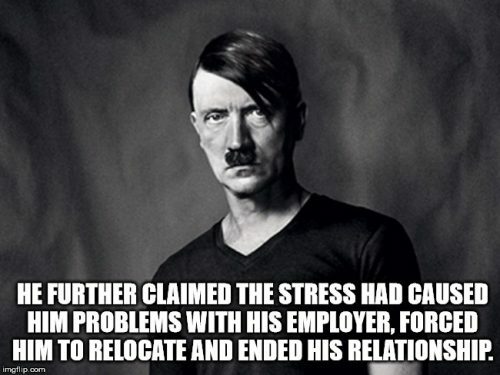 He further claimed the stress had caused him problems with his employer, forced him to relocate and ended his relationship. Cottrell was among the first to be convicted of the crime since the Act came into force in 2001. He and supporters Neil Erikson and Christopher Neil Shortis were charged in 2015 after they made a video protesting the construction of a mosque in Bendigo in which they beheaded a dummy with a toy sword and spilt fake blood on the footpath outside Bendigo City Council offices. In finding the men guilty, Magistrate John Hardy condemned their behaviour, declaring they had each “crossed the line”. Crown prosecutors opposed the application to adjourn today’s hearing, declaring the case was ready to be put. The opposition saw Cottrell change tack, claiming the personal distress caused to him by the media had delayed him finding adequate legal representation for his appeal. He told the court his legal defence needed to be “reformed” as his matter was now being heard individually. Cottrell said he believed the media attention in his matter had subsided since his conviction and he hoped to now be able to concentrate on obtaining a barrister to represent him. Prosecutors agreed he should be allowed time to find a barrister and Judge Dean obliged. Cottrell smiled for a photo as he left the County Court. He will reappear in court in July. See also : Quotations From Chairman Blair Cottrell (July 27, 2015) /// Blair Cottrell : ” … and I started getting arrested after I did that.” #Fortitude /// #UnitedPatriotsFront (February 23, 2016) /// #7SummerOfNazis : The True Blue Crew & Co. Go Hunting Blacks While Channel 7 Cheers (January 16, 2018) /// The ‘crying Nazi’ from Charlottesville now says he’s an FBI informant, Luke Barnes, Think Progress, March 28, 2018. This entry was posted in Anti-fascism, State / Politics and tagged "There should be a picture of [Adolf Hitler] in every classroom and every school, Adolf Hitler, and his book should be issued to every student annually. ", Bendigo, Bendigo mosque, Blair Cottrell, Emo-Hitler, Hitler, neo-Nazi, neo-Nazism, Stop the Mosque in Bendigo, The Lads Society, Unit 9/158 Chesterville Road Cheltenham, United Patriots Front. Bookmark the permalink. Ah, written by yet another limp wristed little nazi fascist. When are you people going to get a copy of the koran and become enlightened to the horrors of sharia? There’a a watercourse in territory that Russia took from Ukraine a little while ago that carries a message for Blair.